Wouldn’t you agree that not a day goes by that each and every one of us isn’t forced to rely on that one thing everyone says we were born with—good old common sense? Well, I believe that we were all born with something even more important, something each and every one of us should be relying on a lot more than we do—our twice as good, and even older, cosmic sense. It’s true. While common sense is the good judgment we’ve learned to develop by living in this practical world, cosmic sense is the incredible insight our soul couldn’t help but develop while struggling to evolve in the spiritual one. Think of it as that remarkable sense of deeper understanding that only comes to us through our higher awareness. When we use it, we’re able to make sense of the cosmos and our place in it because when we apply it, we’re actually taking our common sensibilities to the next level. The highest level. Our spiritual level. The only level that gives us direct human access to all the universal know-how that we could possibly need to fulfill our earthly destiny. Why? Because it’s the same level of hard-earned spiritual savvy that’s now available to our soul for fulfilling its own chosen universal purpose. Yes, chosen, because based on the wisdom of our ancient astrologers (who, fortunately for us, had enough cosmic sense of their own) “by choice” is exactly how we humans come into this earthly existence. What’s more, because our soul does the actual choosing before we do, that’s exactly why those choices are celestially reflected in the astrological energies of our own natal sky once we get here. This is to remind our unconscious soul of its earthly purpose by bringing every one of those choices into our conscious awareness. Not a moment too soon, either, because with our very first human breath they become our earthly promises, the ones that we were literally born under so that our soul could be physically born into. Good to know, especially since, in this particular lifetime, we’re the ones who have to live up them. Now before you start thinking you’re not ready to embrace the science of our first astrologers, think again. These ancient stargazers had cosmic game. After all, they were not only our very first astronomers, they were the very first scholars to achieve that lofty status. That’s because they were also the first scientists to devote their dreary lives to the selfless study and mind-numbing observation of the even drearier universe in which they lived. Unlike our astronomers today, they practiced astronomy and astrology as one comprehensive science because, while they knew our existence on this planet was designed to be depressingly physical, after years spent doing the medieval math, they were equally convinced that the universe we inhabited was more than just one-dimensional. In their primitive world, how could they know? In their line of work, how could they not? 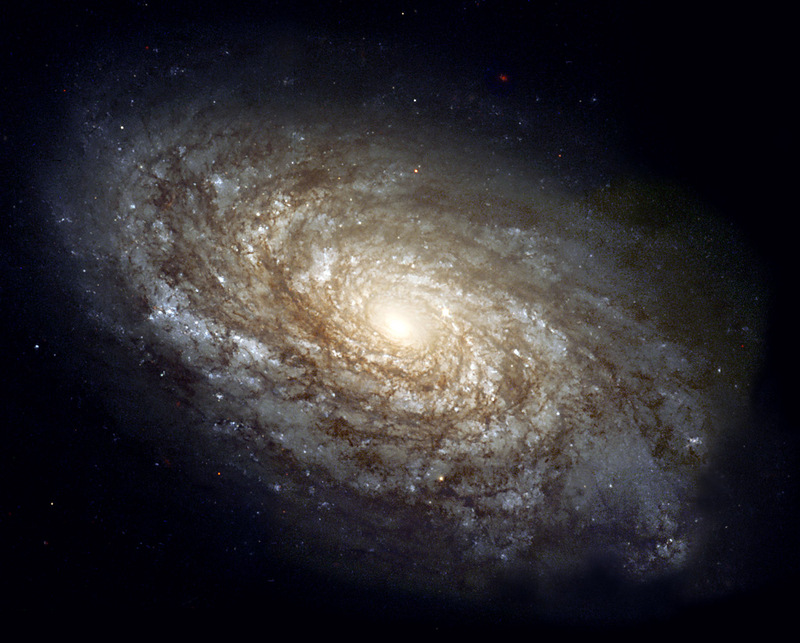 As professional astronomers they not only studied the heavens to discover how celestial objects moved and the universe worked as a whole; as equally professional astrologers (a job that was in many ways more difficult and in every way more mathematical) they analyzed those findings to determine how those movements affected all of us down below. “All of us” meaning our minds, bodies, and souls. In fact, for that reason (and despite the political correctness and religious pressures of their time-and there were many) these seasoned sky watchers were among the first to adopt the principle that ours was a multi-leveled universe made up of nothing but well-ordered energy. Talk about impressive! But, while this kind of thinking puts them clearly ahead of their own time, it’s not what puts them ahead of ours. This does: in their professional opinion, in this particular universe, all of that well-ordered energy was divine, and (wait for it) one of the levels it operated on was spiritual. This is where things go from impressive to amazing, because this means that by embracing these very basic principles, these very basic stargazers not only managed to subscribe to the theory that everything in this universe consisted of energy, but they collectively concluded that all energy within this universe was powerfully creative, infinitely connected, and traveled on its own frequency. To their way of thinking, mental energy vibrated on the intellectual level; body energy vibrated on the physical level; and the eternal part of anything, or the “soul”, vibrated on yet another level. A level, incidentally, that today’s “hard” scientists still refuse to acknowledge as being a scientific one: the spiritual level. And while we all know that just about every scientist today embraces the concept that all energy is connected, these very best minds of yesterday were the first, and in many cases the only, to officially acknowledge all of the levels in our particular time-space continuum that were necessary to actually connect it. They had no choice. To them, a universe could only be “divine” if it was available to all energy on all levels. If ours was a divine universe (which they decided it was, based on the way they determined it functioned) then it had to be available to the mind, body, and soul of everything that vibrated to it and, therefore, existed in it. A category, by the way, that included us. All of us. Therefore, it had to be a universe in which mental, physical and spiritual energy flowed continuously, harmoniously and circularly—a universe where the physical science of astronomy included the spiritual reality of astrology. It was that simple, because to them it was just science. But here’s the amazing part: according to the Universal Laws of Divine Order, that concept still is. And that means everything to an astrologer, as it also should to all who aren’t, because when it comes to the principles of Universal Law, a multi-leveled universe of divine energy means two very significant things to all of us. First, it means everything in this universe is energy, including us. 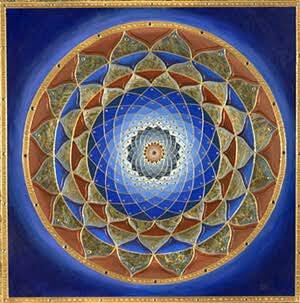 Second, all energy within this universe always moves in a circular pattern for one very important reason: divine order is only achieved by maintaining divine balance. So then according to the first principle, in this universe, every one of our human thoughts, feelings, words and actions are all individual forms of universal energy. That being the case, then according to the second principle, when our bodies put these energies out on one level in this incarnation (the physical level), they are forced to continue on in that divine circular pattern and come back to us through the spirit of our soul on the next level (the spiritual one). They have to, every one of them, good, bad or fattening. Not because, as most of us were taught to believe, the wrath of God is punishing us, but because (and think about this for a minute) as universal law would have it, the divine order of the cosmos is just balancing itself. What goes around must come around. Yes, it’s that simple, because in a multi-leveled universe of divine energy, it’s just science. Of course, in the beginning, when all universal levels were present and accounted for, our science was also that spiritual, which is exactly why our ancient astronomers were among the first to get it. (It’s also exactly why most astrologers, like myself, won’t analyze a birth chart without implementing it). Human actions have spiritual consequences. If this sounds a lot like karma to you that’s only because, as I explain in my book Cosmic Karma: Understanding Your Contract With The Universe, that’s what the Universal Law of Compensation is: nothing more than the spiritual version of cause and effect. In fact, as far as I’m concerned, nothing less than the same principle practiced in just about every religion known to man. Good, old-fashioned accountability for the soul. So why is that? Why is such a proven scientific principle like cause and effect such a fundamental part of most religious teachings? As interesting a question as that is, the really interesting question to me is, why not? Why isn’t the development of our soul considered a recognized field of scientific study? It is when it comes to any field that involves the development of our minds or bodies. So then, why not the soul? After all, if spirit is the highest intellectual dimension, as many believe it is, wouldn’t the wonderful world of science in general, and the field of astronomy in particular, be better off if this overlooked dimension were invited to the cosmic party? Wouldn’t it be a more interesting party? At the very least, wouldn’t it be a more stimulating one? I think so. But then, I’m someone whose life and belief system were as much transformed by the readings of the psychic Edgar Cayce as they were by the writings of the astronomer Carl Sagan. And while I have Sagan to thank for my life-long passion for the stars above, it was actually Cayce who furthered that zeal by instilling in me a life-changing passion for the spirit within. Through the work, words, and wisdom of these two enlightened souls I learned that physical science and the immortal spirit are not mutually exclusive. Through their separate and distinct philosophies, I came to adopt one of my own: that science and spirit only work divinely when they work together. That’s because in this universe, our spiritual reality is a fundamental part of our physical actuality. As spiritual beings having a mental experience in this physical world, I came to realize that we are not relevant to this universe without either the science that got us here or the soul that keeps us coming back. The even bigger epiphany for me, however, is that here on planet earth, neither one of them is relevant to us without the other. But then, as I learned from the best ancient minds in the stargazing business, in a divine universe, it’s just a matter of cosmic sense. This article was originally published by The Llewellyn Journal, an excellent site that is well worth a visit!